Books bring them together - but friendship will transform all of their lives. An epic saga of five very different women who come together in the Northern Territory of the 1970s. Sybil, the matriarch of Fairvale Station, run by her husband, Joe, misses her eldest son, Lachlan. 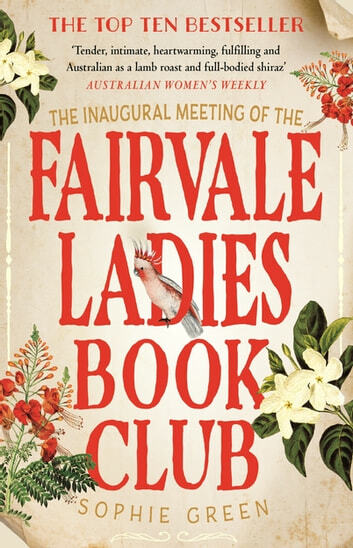 It is up to their second son, Ben, to take his brother's place, while Kate, Sybil's English daughter-in-law, is thousands of miles away from home and finding it difficult to adjust to life at Fairvale. Rita, Sybil's oldest friend, is now living in Alice Springs and working for the Royal Flying Doctor Service. Sallyanne, mother of three, dreams of a life far removed from the dusty town of Katherine where she lives with her difficult husband. Sybil comes up with a way to give them all companionship: they all love to read, and she starts a book club. 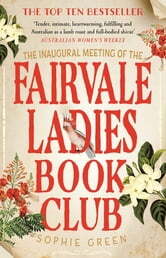 If you loved The Guernsey Literary and Potato Peel Society, The Little Coffee Shop of Kabul and The Little Paris Bookshop, you will devour this story of five different women united by one need: to overcome the vast distances of Australia's Top End with friendship, tears, laughter, books and love. Loved the characters. Enjoyed the friendships formed. I just wanted to be a part of this bookclub! I loved it. So descriptive you felt like you were there. The characters were so real. The story was happy and sad. I cried many times for both reasons. A sequel?